In the hot month of August the last thing you want to do is turn your oven on. But that doesn’t mean dessert should be forgotten! This is why I have chosen a no-bake dessert recipe from the blog “Divas Can Cook”. Did I mention how simple it is to make! 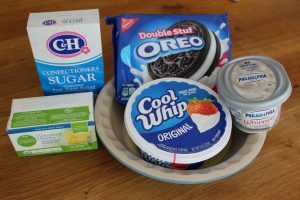 To make the crust, add 26 Oreos to a food processor. 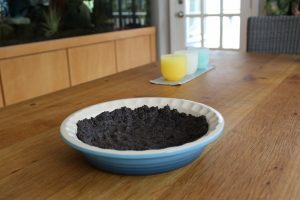 Place crushed Oreos in a bowl and add melted butter. Stir until butter in combined. Press mixture evenly into a lightly greased deep dish pie plate. Freeze until set. About 30 minutes. 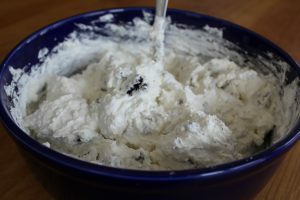 Meanwhile, make the filling by creaming the cream cheese with a mixer until fluffy. (I bypassed this step by buying whipped cream cheese). Mix in powdered sugar and vanilla extract. 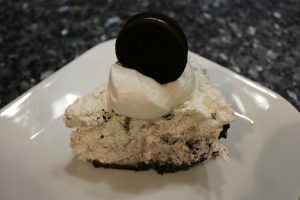 When ready to serve decorate the top of the pie with Oreos and cool whip if desired. Drizzle serving plates with hot fudge and place a slice of cheesecake on top. 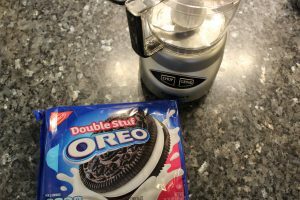 I used 1 pack of the family-size double stuff Oreos. 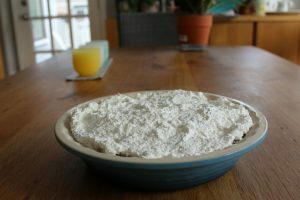 For a soft set pie, store in the fridge. 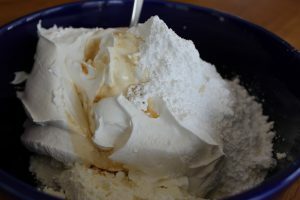 For a hard-set pie with the texture of ice cream store in the freezer and let soften a little at room tempt. when ready to serve.